New conservation park located on Aotea / Great Barrier Island.The park aggregates together prior stewardship areas and other DOC reserves, covering 43% of the island. Port Fitzroy, Great Barrier Island • By Tryfyn. A feature of the island are a number of remaining kauri dams. These dams were used to flood rivers, floating kauri logs downstream. 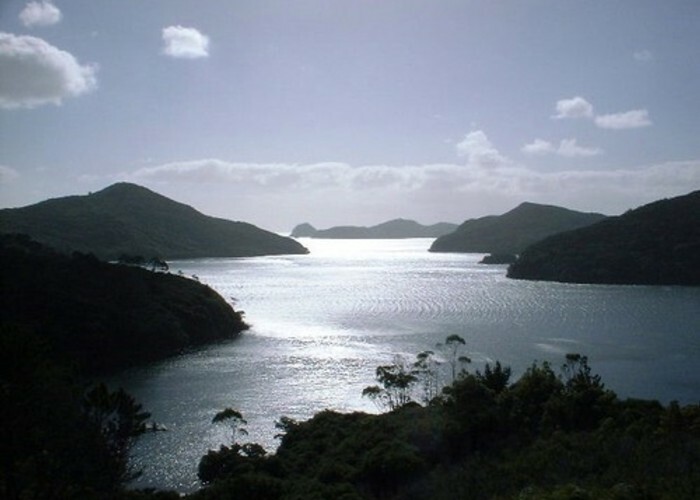 Great Barrier Island is well-supplied with tracks, campsites, and two tramping huts. Many of the tracks and facilities were damaged in a severe 2014 storm. A highlight is the 2-3 day Aotea Track. Added 13 April 2015 by MatthewMatthew. No revisions.